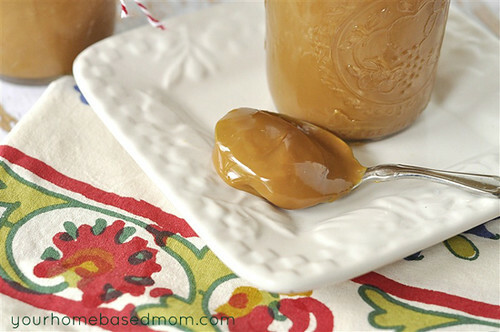 Slow Cooker Dulce de Leche is so easy to make. Several years ago I posted a yummy recipe for Dulce de Leche and Apples. The apples are browned in some butter and then a yummy, thick caramel sauce called dulce de leche is poured over the top. I became a big fan of dulce de leche about 8 years ago when we traveled to Argentina. They serve just about everything with dulce de leche in Argentina – they know how to eat! I remember at breakfast there would be big bowls full of caramel and I would pour it over my fruit. Yum. It is next to impossible to find dulce de leche in the stores here in Portland so I have to make my own. The method I shared in that original post involved boiling sweetened condensed milk in the can in a pan of water for several hours. It works but it takes some watching. You need to make sure the water doesn’t boil away and it never got quite as thick as the dulce de leche I remember from Argentina. 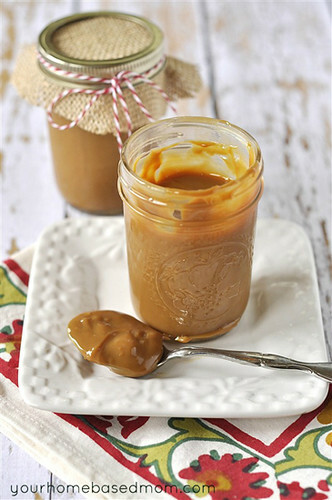 A few of my readers shared with me a crock pot dulce de leche recipe. Well, three years later I finally got around to trying it and it works! It works beautifully. Not only does it work but you end up with the thick, rich dulce de leche like I remember from Argentina. The process is very simple, it just takes a bit of time. I used two cans of sweetened condensed milk, the 14 oz size. I poured the milk into 3 half pint size glass jars. I placed the jars in my crock pot and then filled it with water. The water should totally cover the jars. Place the lid on the crock pot and put it on low and allow it to cook for 10 hours. I have only done it on low so not sure how it would work on high. But if someone tries it let me know. After ten hours remove the jars from the crock pot and open the jars. You will have the most amazing, thick, rich, caramel sauce. Grab a spoon and scoop yourself out some. Really, you want to do this. But don’t blame me if you take a second spoonful and then a third and be careful because before you know it the entire jar will be gone. Don’t ask me how I know this! 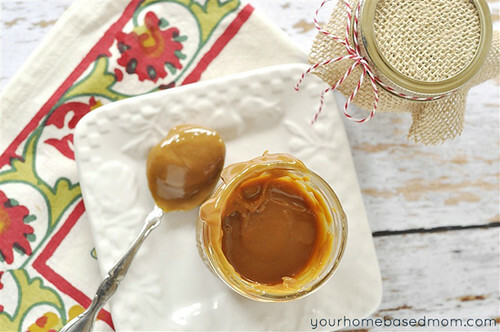 Besides eating it straight out of the jar there are lots of other fun ways to use dulce de leche. 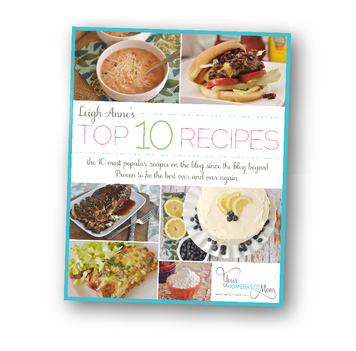 I have a couple of recipes to share with you this week how we like to use it at our house so stay tuned. Don’t miss checking out my Mock Fried Ice Cream with Dulce de Leche. Believe it or not it’s pretty darn good spread on toast! I store it in the refrigerator. Not sure on the shelf life as it never lasts too long at my house. It also makes a great little gift, especially in the 1/2 pint sized jar. Place jars into a crock pot. 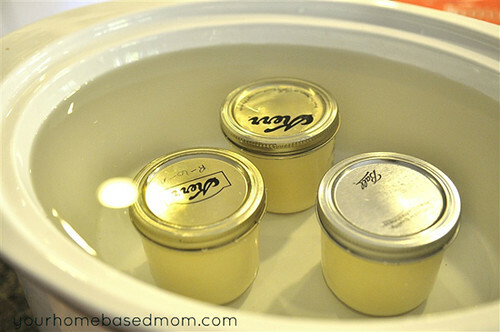 Fill crock pot with water so that it covers the top of the jars. 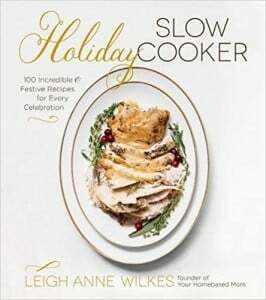 Turn crock pot onto low and set timer for 10 hours. After 10 hours and remove jars from crock pot. Open the lid and grab a spoon! Seriously!?!? All it has in it is Sweetened Condensed Mile??? I will try this TOMORROW . . . and if it works (not that I don’t believe you or anything) you will have seriously made a whole house full of kids (and parents) HAPPY, HAPPY, HAPPY. One of my daughters lived in Argentina for 3 years. Mama (me) went to visit. Mama brought home dulce de leche and everyone LOVED it!! Mama wished she had brought home more dulce de leche. 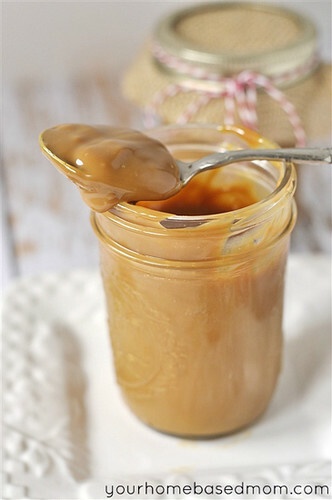 Now … Mama can MAKE dulce de leche? Woo Hoo!!! Doin’ the Happy Dance!!! Thanks. Can’t wait to see your recipes. Hello, you can also buy those at a normal grocery story in the Hispanic part. It’s called La Lechera Dulce de Leche is in a can! How long will this last in the fridge? I am going to start this right now! Thanks! Not sure since it never lasts too long in ours but I am guessing it would be the same as other caramel/hotfudge sauces you may have. You are right – guess what my friends and neighbors are getting for Christmas this year!~? I was recently at the Walmart in Cornelius and did notice they sold cans of dulce de leche. It was right next to the sweetened condensed milk. I’m not sure if it’s something that’s normally kept in stock. 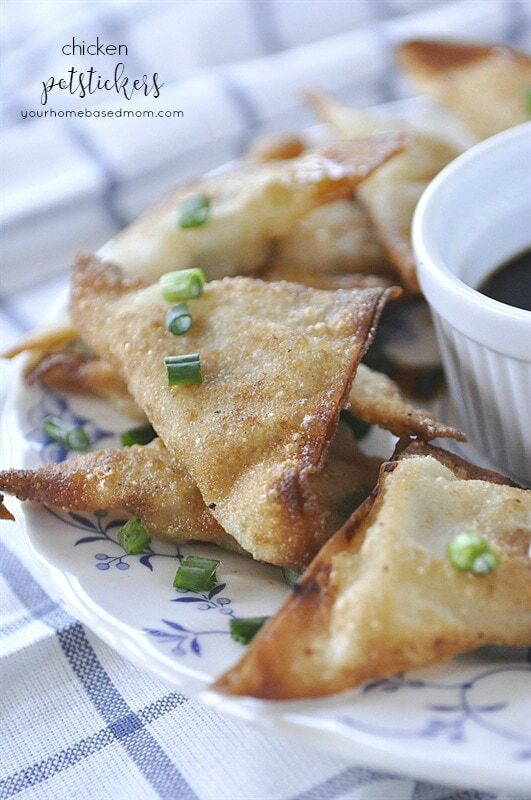 However, this recipe looks great and easy too. I have a cupcake recipe that has dulce de leche as an ingredient, so I can’t wait to try it. Thanks Leigh Anne. Good to know – we just had a new Walmart grocery store open up by us. I will have to check it out. It is super easy to do in the crock pot and probably less expensive. My crock pot just became a “cracked” pot. Will have to replace it soon so I can try this! This recipe is totally a reason to buy a new crockpot. I just bought a great one for my daughter’s college apartment at Goodwill. Just like the one I have for $8.00! YUM! i can’t wait to give this recipe a try!!! Since you did 3, I wondering how you store it? Is it shelf stable like you canned it? Or, does it need to go in the fridge? If it has to go in the fridge, how long will it keep? 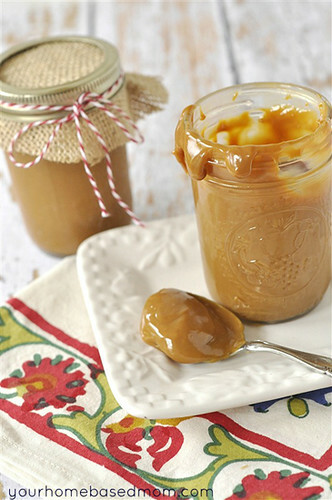 Or are you planning a Dulce De Leche party or something to use it up quickly? That seems like a lot for 2 or 3 people. I have seen blog posts in which the process was done without ever opening the can of sweetened condensed milk. Have you tried it that way? What is the difference? I can’t wait to try it! I love anything carmel. I have a grandson serving his mission in Argentina and he would be impressed if I knew a receipe from there. Besides he was telling me about the carmel things down there. I saw this and I thought what a neat idea. I wanted to ask did you boil the lids and rims?? Do I just put the lids as it is? I did use the lids and the rims. Would this work with homemade sweetened condensed milk? I have recently learned how to make my own and it’s so cheap I don’t know if I can ever buy store-bought again! If you could email me your recipe, i would really appreciate it? I have never made dulce de leche because I was terrified of boiling a can – I am so giving this one a try! Do you put a lid on the crock pot while cooking? Sounds wonderful! Yes the lid goes back on. My mom used to make “dulce de leche” for me when I was a little girl (in the 70’s) using a pressure cooker. She would place a couple of cans directly in the pressure cooker and cover them with water. In about 30 to 40 minutes we would have cooked condense milk or “dulce de leche”. As an adult I have never tried to make it because I don’t like using a pressure cooker, but now that I have read this blog….I will. Pressure Cookers scare me too! I do mine in the pressure cooker. It gets really thick and brown… delicious! my grandma, and my mom were used to do it like that in Peru, but then we were able to find the “ready to eat” one. When I moved to Canada, Oh My!! I missed it! 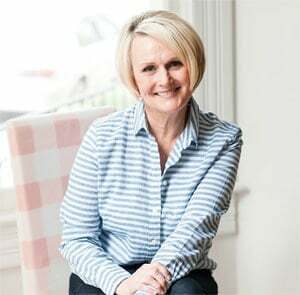 so I got courageous and did my own in the pressure cooker (I had to admit that my hubby thought I was crazy… but there is a reason for insurance right?)…. absolutely gorgeous! I prefer the brand of President’s Choice, as it turns more brown and thick than the others, but works with all of them. Peel the paper of the can, cover it with water 5 extra cm of water on top of the lid, close your pressure cooker and boil for an hour. Take cans (do several! you will not regret!) COOL DOWN OVERNIGHT!!! this is very important!!! it is really hot inside the can, and you can burn yourself with exploding caramel. Open the can, and enjoy!! Yum! Dulce de leche brings back memories of my time spent in Argentina on a mission. We ate it on everything! I’ve never tried it in a crockpot, so I might try that method next time. Because it is a long process, lately I just buy it at WalMart. It is fast and cheap, comparable to what a can of sweetened condensed milk costs, and still tastes similar to what I had in Argentina. Thank you! You are so generous with your recipes and I appreciate them very much. I made this overnight and it was mind-blowing! Amazing & tasty, just like I had in Argentina. So glad!!! It is amazing. Saw this on Pinterest & it looks delicious – and I love to use my crockpot! Now, can you please tell me if the lids actually seal themselves like they do when you can something, or are they just put on to keep the water out? Wonder how it would taste to pour it warm out of the jar, over a warm, home-made cake with holes poke it top – sort of a version of LaLache cake, which I LOVE! Thanks! The lids do not seal so you will need to refrigerate it. I bet it would be delicious poured over a warm cake! Yum! Erica, I do not know if it makes it shelf safe. I would contact your local extension office and as them. I love this stuff, I am from Costa Rica, living in the US now. 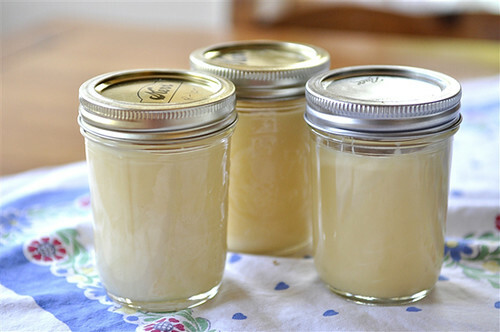 My mother used to make this stuff in her pressure cooker, she would put the unopened can of sweetened condensed milk in it and pressure cook it, but I am terrified to do that. My sweet mom has passed away and have no way of knowing what exactly she did. But I will for sure try this, seems a lot safer lol!! My mother used this between layers of cake and we would eat spoonfuls of it, yum! I crave this stuff and it is so much better than anything found at the stores!! Thank so much for sharing! This way is much easier and safer than using a pressure cooker and I think it tastes the same! Enjoy!! That sounds so great … and I love that it doesn’t have to be watched. I can’t wait to try it! I can’t believe how much easier this recipe is that how I have made it! I make this every year for my husband’s birthday, but I boil the can and it takes forever and I have to keep adding water and it smells like metal in my house for a day. So glad there is a better way to do this!!! Marci, That is exactly how I would make it too and this way is so easy! The only problem is it is so easy I make it too often and eat too much of it!! I cannot wait to try this. I bet this is so good with homemade sweetened condensed milk. Man, am I glad you posted this!! I’ve already made 3 jars. LOVE it!!! Boil the milk. Add sugar and vainilla and let it boil again till it gets brown and a little heavy, but still soft. And….that’s all! You can keep it in a cold dark place or in the refrigerator. Don’t freezze it, because it can get ‘sugary’. It’s easier and faster to prepare. As soon as it gets cold you can start to enjoy it! Thank you so much – What type of milk are you using? I use whole milk, if it’s possible the one that comes out right from the cow! fresh, beautiful, white milk. This sounded simple and delicious, but mine turned into a caramel glop after 10 hours in the crockpot. Should I have checked it earlier and trimmed down the cooking time…or what’s your take on this? Anyone else had that problem? Sounds like 10 hours was a little too long in your crockpot. I would go for 8 next time. Also you should be able to add some milk or cream to it and thin it out so it’s not so thick and it should still be delicious. my crockpot is too small to cover the lids completely with water..can i lay them on their sides or will that be disastrous? I think as long as the lids are on tight it might be fine. It may not take as long as more of the glass is in close contact to the heat. It might be worth a try but I would keep a close eye on it. I laid mine on their sides. I have two crock pots and the one was done after 6 hours. I’m still waiting on the other. Yep, I’m making it right now. One thing I noticed about having them lying down (my jars are a little too tall to be completely covered with water standing up) is that the water turned milky white in the crockpot. I made sure the lids were tight before putting them in so I don’t know if the heat causes them to not be water tight or what happened. There doesn’t appear to be excess liquid in the jars. What do you think? I should mention that is 6 hours on high. Hi! I love the idea of doing it in jars! I was wondering, if you have tried doing it like you would for normal canning, you know, sanitizing the jars, soaking the lids before putting them in and cooking them. That should allow the jars to seal, and if they seal the shelf life sould technically be similar to that of the can before it was opened. Just a thought, I’m definitely going to try this!!! My sister found this and is wanting to make it, she has a really cute gift bag idea to give the jarred Dulce with a granny smith apple and sprinkles, like a caramel apple BUT we are concerned about the refrigeration. Can anyone tell me if it needs to be refrigerated immediately or only after opened? I would hate to give someone something that spoiled in a gift bag after a few days, please help… anyone? I do keep it refrigerated. It isn’t really “canned” so it needs to be refrigerated. No need to worry about explosion in your crockpot. It is not like a pressure cooker. Since you are not “canning” it any jar with a lid will work. There’s a wonderful and super classic dessert in Argentina (where I’m from) called “Panqueques de dulce de leche” or Dulce de leche pancakes. Just make a simple crepe batter to form very thin pancakes remove them from the pan make at least 2 per person. Then spread dulce de leche on them and roll them up like a cigar… Voila you got a simple and delicious dessert! Enjoy ! The nice thing about cooking it in canning jars rather than in the can is that you can monitor how dark the dulce de leche ends up. I like mine rather dark. A little advice on cooking it in a crock pot is that the newer crock pots cook at a much higher temperature than the older versions (I think it was some kind of a worry about low temp cooking). Anyway, I have several crock pots. One is a newer version (about a year old) and the others are the older kind. I cooked a batch of dulce in the newer crock pot for 9 hours and it pretty much became candy. It wasn’t even spreadable. It was still delicious, but not what I was looking for. That same 9 hours in the older crock pot ended up with a nice dark pourable dulce (kind of like your picture). My favorite method for cooking dulce de leche these days is to cook it in canning jars on my stove covered with simmering water. It cooks much faster (2-3 hours depending on how dark you like it) and doesn’t really take much monitoring. I cover the pan so there is little evaporation and only occasionally have I needed to replenish the water. The main benefit, though, is that I can take the can out to check how dark it is getting without having to worry about lowering the temperature in a crock pot. 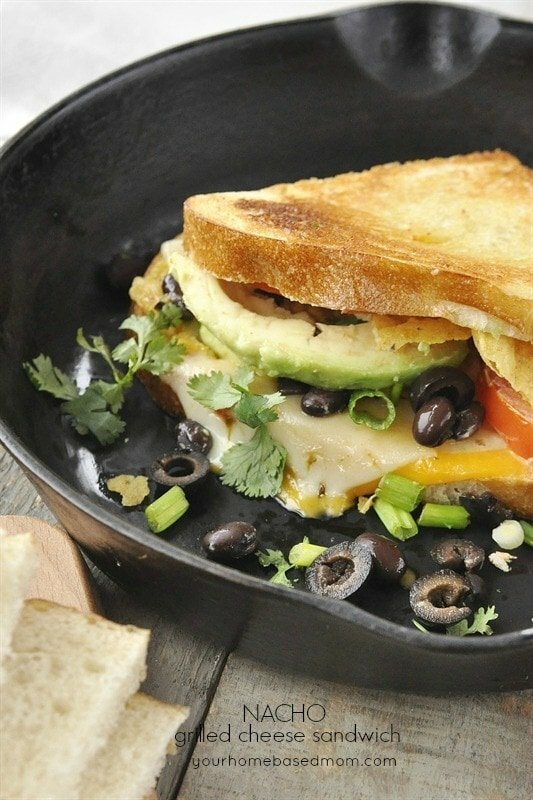 i just tried making this and it’s yummy! but i have a question about the consistency.. is it supposed to be thick like caramel or condensed milk? mine came out spreadable, with jelly/flan-like consistency. the thickness will depend on how long you cook it – the longer you cook it it will get more jelly/flan like. If you don’t want it that thick you can just cook it a shorter amount of time or add a little liquid to it to thin it down a bit. Either will work and it will still be delicious!! thanks! 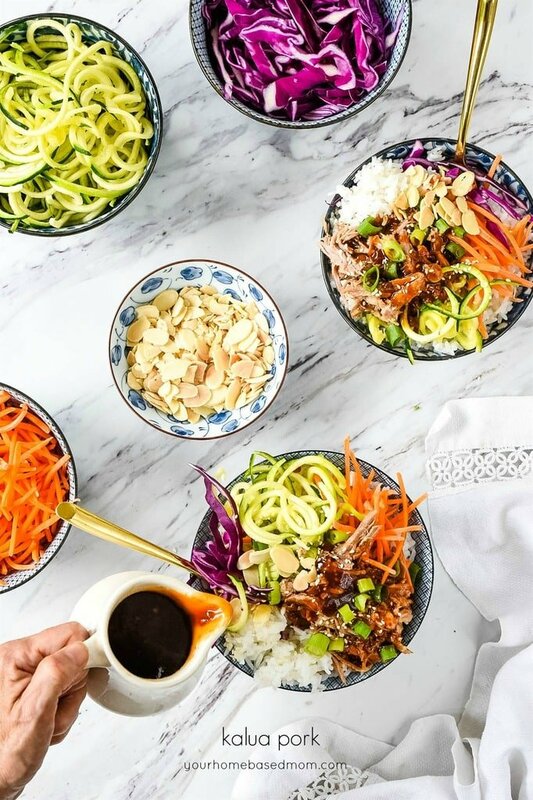 i was just worried i didn’t do it right… 🙂 and thank you for sharing the recipe… so yummy! So glad you liked the recipe and that it worked well for you. I tried it on high…. Perfection in 6 hours! How have I never known how easy this was to make? Thank you so much for sharing! My hubby is from Honduras & loves this stuff! I have it in the ctockpot right now & can’t wait to taste it!!! This is really nothing new. My mother did this with Eagle Brand condensed milk back in the 1930’s when things were really tough financially . She would simmer a can of condensed milk in a sauce pan on top pf the stove for about 6 hours. When done and cooled she would open the can, spoon some out and top each serving with real whip cream. Delicious !!!!! Funny how these simple things come back around. I use a large stock pot with plenty of water and bring to a boil, then turn down to a simmering boil…the water level never gets down below the cans and I never have to worry about it. This last one – we open the can at both ends and then using you fingers, push the loose lid to push solid contents out of the can. Then slice as you wish.